Our next show at Pentimento Gallery will be Susan Valyi's sculptural work. Valyi works with found objects and atypical materials to create pieces that play with form, silhouette and weight and has created a show of varying sizes, subjects and materials. We look forward to putting together the show next week! 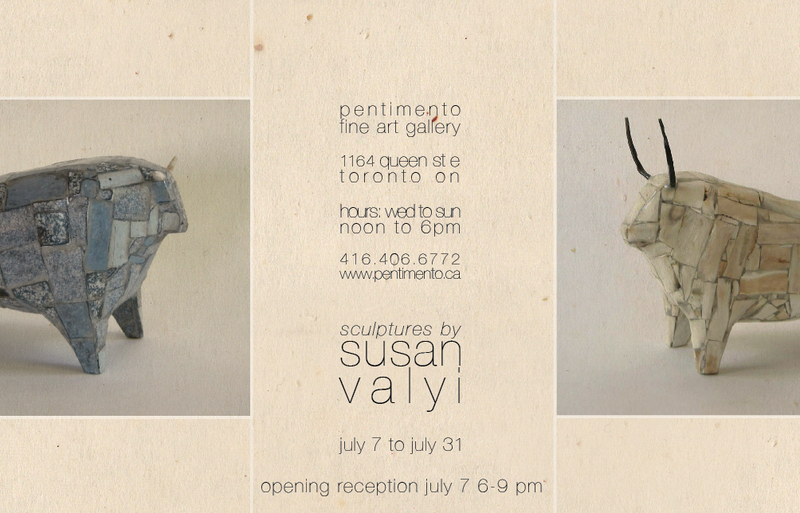 The opening for Valyi's show will be Thursday July 7, from 6-9.